For sure meron na ring nagluto ng ganitong ulam, isa lang ito sa mga Simpleng Luto para sa mga simpleng pamumuhay. Sa mga hindi pa alam ang Simple Recipe na to, eto ang kelangan at gagawin. This is so simple even the ingredients is too. 5. 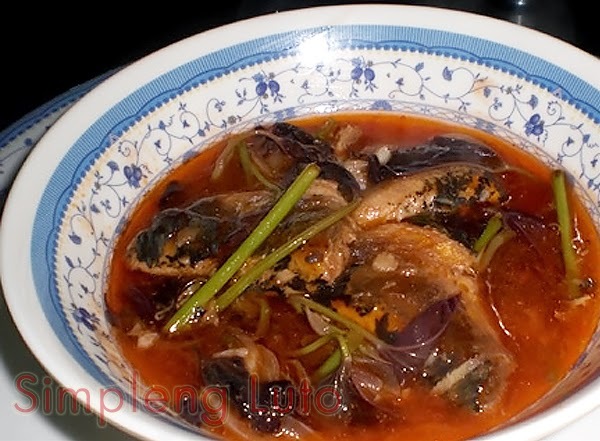 Pour sardines sauce and add water for the soup and put camote tops or sweet potato tops together. 6. Now put the fried sardines fish and cook for 2-3 minutes. 7. Serve with a rice and enjoy! This recipe is usually seen in big family member with a tight budget for their food to survive the day-to-day living. Also there is people cooked this recipe but they do not actually fried the fish and taste differently.